With us it's personal! In the context of our "It's the people who make Rompa" web section, we would like to introduce another colleague to you. 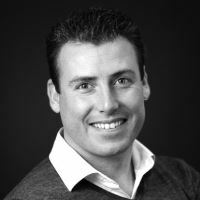 Meet Martijn Jansen, our international Sales & Marketing Manager. 1. Who are you, in a nutshell, and what is your position at the Rompa Group? 3. When (in what phase) exactly do you come along in Rompa’s business processes? 4. What do you contribute to the company? 5. How do you stay ahead in your line of work and how do you stay inspired? 6. What makes Rompa…. Rompa? In other words, what makes Rompa unique in the plastics industry? 8. Who is your example, your role model? 9. What is your personal / business motto?